It’s a big week for fans of Don Coscarelli’s cult horror series, Phantasm, which began with the original film in 1979. That spooky, surreal tale of the Tall Man—cinema’s most sinister undertaker—just got a stunning restoration, thanks to mega-fan J.J. Abrams. And the fifth film, Phantasm: Ravager, also arrives to wrap up the series, featuring the final performance of Tall Man actor Angus Scrimm. We talked to Coscarelli about the legacy of Phantasm, its restoration, and how the new film came to be. 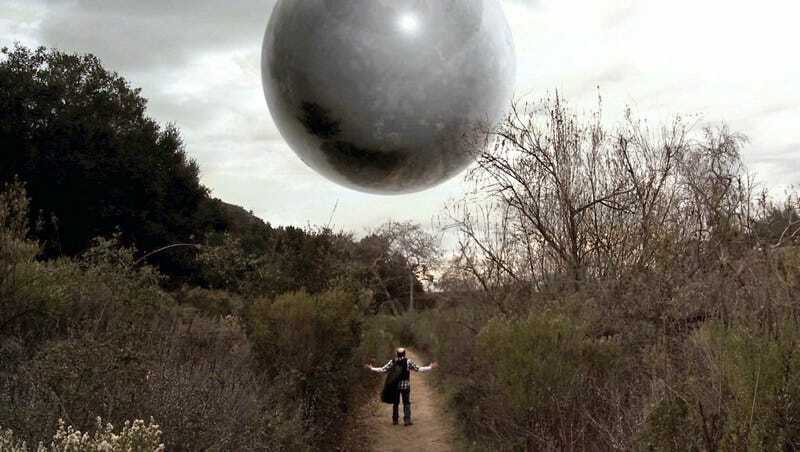 io9: With Phantasm: Remastered and Phantasm: Ravager both coming out this week, you’re basically at peak Phantasm right now. How does it feel? Don Coscarelli: Who would think, making a movie decades and decades ago, that it would still have any relevance at all? That part is pretty great, actually. It’s also wonderful that we found a way to make this final Phantasm and wrap things up. We really went back and did it on a similar basis to the original movie—it wasn’t like we had a schedule and it had to be shot in a four-week period. It was more of an evolution, of “Oh, maybe we can make something,” shot a little bit, did some experiments, and just kept adding on. Consequently, I think the end result is probably closest to the original, in terms of strangeness and maybe even gaps in logic [laughs]. The fact that there’s a fan base for these movies is pretty special. The only downside to the whole thing is that our long-time collaborator Angus Scrimm is not around to witness [the reaction]. He just would have loved to attend one of these screenings, meet with the journalists, and read the coverage. Angus Scrimm as the Tall Man in Phantasm: Remastered. How did he feel about being a horror icon? Coscarelli: He relished it. He was a theater usher in his youth, and he grew up watching all of the Universal Monsters. He knew all about Karloff and Lugosi and those guys, and to find himself in that little brethren—he thought it was great. He really enjoyed meeting the fans. Here’s a guy who has terrified people in his movies, but when he was at conventions, all fans wanted to do was run to him and hug him. I don’t know if it was their way of dealing with the fear that he induced, or just the fact that he was so different in person—he was very urbane and genteel. What did he think when he heard you were planning to make a fifth Phantasm movie? Coscarelli: He was concerned—obviously he didn’t want to make anything that would degrade the franchise, or his performance whatsoever. The Tall Man in Phantasm: Ravager. But once he sat down and read the pages of dialogue and met [Ravager director] David Hartman, he was ready to do it. We were able to screen the movie about three or four months before he passed—and he liked the movie and his performance, so that was really satisfying. You directed Phantasm parts one through four. Why did you decide to pass the torch for part five? Coscarelli: I think the simplest answer is... how many freakin’ Phantasm movies can one person direct in a lifetime? I think four is probably enough! And also, to tell you the truth, I had always thought that part four wrapped the series up nicely. But there was always a fan buzz—everybody wanted the next one. 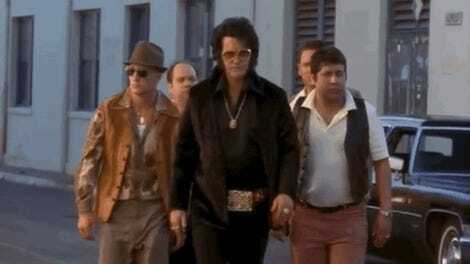 Part five came out of the fact that I had worked with David on both Bubba Ho-Tep and John Dies at the End. He’s an animation director by trade, but he has a very wide range of talents—he likes to shoot short movies, and he would go out and shoot short movies every weekend: live-action, very clever, heavy effects-driven stuff. I always admired his work ethic. It was his idea to make a Phantasm short movie, and I thought, “That might be kind of cool, maybe we could use it as a supplemental feature on a DVD.” [Series star] Reggie Bannister lived nearby, and he came by and helped out. We shot one weekend’s worth of work, and it turned out so nicely that I thought we could expand that and actually make a movie out of it, with Dave directing. Where in this timelime was the remastering of the original Phantasm happening? Coscarelli: Right about in the middle. J.J. Abrams called me and introduced himself just as a Phantasm fan, back around when I was working on Bubba Ho-Tep. He had put Angus in a TV series, [Alias], which was great. He really liked Angus a lot. And he wanted to show Phantasm at [his production company] Bad Robot, but all I had to offer was this pretty poor quality print. He was stunned that there were no hi-def materials on Phantasm, and he said, “Look, we can fix that,” and he got his head of post-production, Ben Rosenblatt, on the case. Ben figured out a way to get a very high-quality frame scan of the original camera negative. At Bad Robot, they have a really nice high-end system that they use a lot of times, but sometimes it’s sitting around not used. Consequently, over about a year, I’d get these calls from Ben: “Can you come over tonight at seven? The machine’s open!” There are some really nice, talented people over there who worked on it when they had some time off—and a couple of them were really die-hard Phantasm fans, including the top audio engineer over there, who took it upon himself to completely restore the audio. He was able to get a gorgeous stereo sound out of the music, which may be one of the things I enjoyed the most out of the restoration. It’s really thrilling. What was your role in the restoration? Coscarelli: Usually, whenever you’re doing color correction, the charges are just astronomical. You’re limited to two, three days of color correction. With this, they were so generous, I was able to go through and not just get the blacks really crisp and the color nice, but also as a director, to check every framing and get it positioned just right. There are shots in the film where the camera wasn’t necessarily on the action; with a hi-def scan, you really have the ability to move around in the frame and, [for example], fix shots where maybe there was too much head room. And then, of course, the best part—when we made Phantasm in 1979, there were no visual effects to speak of. Everything was done in the old-school way with rubber, paper clips, and tape—and we used a lot of fishing line to fly those spheres around. During the restoration we were able to go through and remove all of that fishing line, which I think a lot of fans have been generously ignoring it for years now. Now that it’s gone, it just makes the effects play so much better. Have you heard from any diehard fans who are displeased that you cleaned up the old version? Coscarelli: What’s weird is that I was expecting that kind of thing, but the reaction has been pretty unanimously [positive]. We were really careful not to remove too much film grain—there are ways to remove the grain, and give it a much cleaner look. I had read criticisms of other restorations, so we were careful to try and still make it have an organic feel to it. I think, and hope, that we got it right. My position is that “cult” means “passion”—you’ve got fans who are really passionate about the movie. It’s hard for me, exactly, to know why [the film has been so popular over the years], but I can say that the question at the center of Phantasm is timeless: What happens when you die? It’s dealing with that through the eyes of this younger kid, and it brings in a lot of strange science fiction and wacky elements with that. It’s probably always going to have resonance until we have the answer to that question. I think it also plays to different demographics in a way. Certainly, a lot of people saw it at a time when it might have been their first horror movie. The first movie that scares you is like a first crush—you just never forget it. And you always want to share it with other people. Phantasm: Remastered and Phantasm: Ravager both hit theaters on October 7 (follow links for theater locations); all five of the Phantasm movies will be available on Digital HD and On Demand on October 4. And you can keep tabs on all things Phantasm at the official Phantasm website.